The rising popularity of cassettes in recent years has, perhaps justifiably, left a lot of people scratching their heads. With a 74% rise in sales of the supposedly obsolete format being registered in 2016, and a continued rise of 35% in 2017, a fair share of naysayers have pegged tapes as just another hipster trend or a “pining for a golden age that never existed”. For the past half-decade though, their steadily increasing relevance has been hard to deny with the annual Cassette Store Day launching in 2013 and since becoming a sizeable international event. As more and more labels announce exclusive cassette releases, it feels like this is a “gimmick” that won’t be going anywhere soon. Despite most of the increased sales last year being down to the huge success of the Guardians of the Galaxy and Stranger Things soundtracks being released on tape, it still feels valuable to talk about the many positives that have come from their increased presence in the dance music landscape. Who knows, maybe it’s time we stopped hiding behind our vinyl collections and Rekordbox folders and invested in a classic tape deck? Some esteemed producers and labels have been working with tape over the past few years, helping to bring the format back into the mainstream after a long period of neglect. 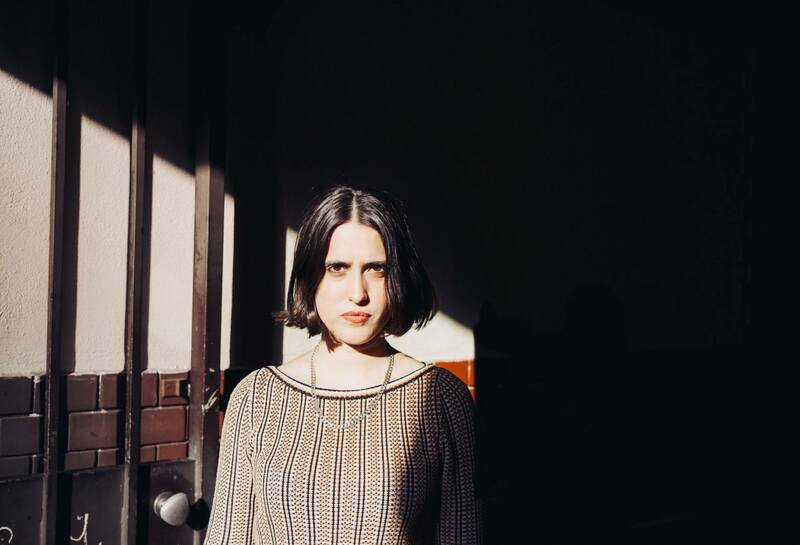 Helena Hauff’s 2015 debut album, ‘A Tape’, was released via Dallas label Handmade Birds, for example. Celebrated Los Angeles label 100% Silk — who’ve released EPs from Octo Octa and Fort Romeau to name a few — put out seven tapes last year and have another limited edition cassette landing this month with 50% of the profits going to Oakland-based initiative Safer DIY Spaces. In December 2017, London’s Minor Science put out an experimental sound-collage tape on Whities, bringing some strange and exciting sounds to a label catalogue that already boasts releases from the likes of Avalon Emerson and Kowton. It’s in that experimentation that we find the first reason to be cheerful about tapes’ growing popularity. Because they’re so much cheaper to produce and distribute than vinyl, small labels are more able to take the risk and release less conventionally popular and more experimental music. It enables emerging and underground producers of house, techno and other electronic genres to try new and exciting things and push their styles to places they wouldn’t otherwise be able to go while still granting them an official, physical release. Take the wonky throbs of The Mighty Lord Deathman’s ‘I’m Having a Fight’ EP and the frantic, fierce improvised techno of UKAEA’s ‘The Empire Never Ended’, both released by Liverpool’s Pale Master label. Given that the costly economy of printing and releasing vinyl today means that underground releases like these can often only hope for digital release, a cassette run helps both labels and artists reach a wider audience while giving them a better shot at ruffling the feathers of cut-and-paste techno peddlers. Basically, hearing releases that push genre-boundaries should encourage other producers to broaden their own creative horizons. For dance music on the whole, this can only be a good thing. The whole thing speaks to the same desire for something physical that fuelled vinyl’s massive revival over the past decade, for a collector’s item and listening ritual that brings something more tangible and worthwhile to the occasion than a digital release. The fact that people just seem to want a physical object that you can hold and snap into a retro-looking player while admiring some nice artwork, also just speaks to the nostalgic collector in all of us. It’s the same thing that feeds our love of ‘80s-themed parties, movie reboots and kitschy fashion. One thing that the rediscovered love of tapes has achieved, then, is an increased potential for labels to produce exciting re-issues and compilations, showcasing scenes, cultures and sub-genres from throughout history and the world. 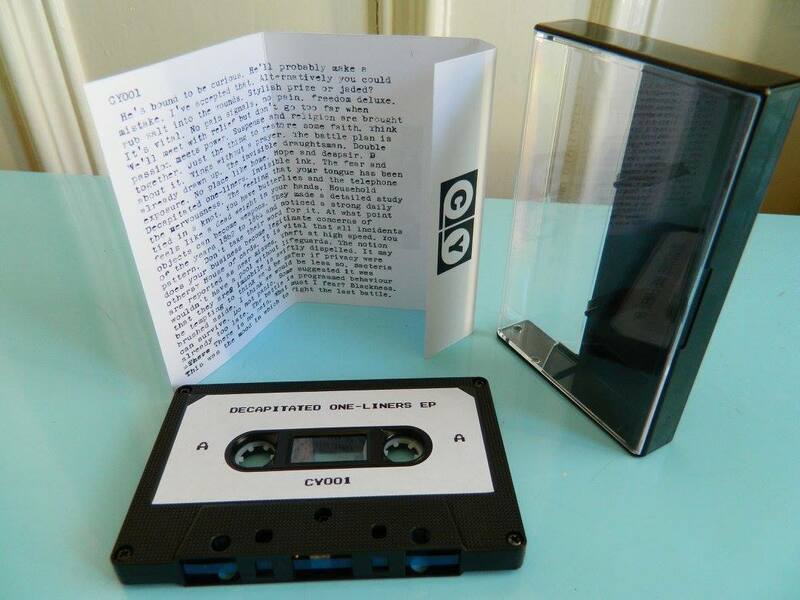 In November 2017, Glasgow label Contort Yourself released ‘80s Underground Cassette Culture Volume 1’, a collection of 20 gnarly cuts documenting the thriving underground tape scene of the city from that decade. A reissue like this is only given the opportunity to thrive (and be as comprehensive as it is) in a climate that encourages a cost-effective, unorthodox method of release. It reminds us of how important tapes were to bubbling underground scenes over the years and how influential they were in pioneering the genres we love today. The tape revival has also allowed music that may have never reached a global audience to do so in physical format. Labels like the prolific LA-based Awesome Tapes From Africa have have provided an international platform for incredible music from across the continent, giving a new lease of life to tapes by the likes of Ghanaian highlife singer Ata Kak and Malian singer Awa Poulo. Thrilling re-issues and new releases from these artists have been picked up by DJs like Four Tet, Midland, Ben UFO, Antal and DJ Mag’s February cover star, Hunee. Not only that — the label’s founder Brian Shimkovitz also regularly DJs on tape decks, stacking his crazy fun sets with music from the imprint. It ultimately feels like the cassette tape has reclaimed its title as one of the best ways of bringing exciting strands of dance music to new audiences. The potential for global collaboration seems endless too, given that they now work hand-in-hand with online marketplaces like Bandcamp and Bookmat. Fort Evil Fruit, a label from Cork, Ireland has released idiosyncratic techno from Japan and France. U.S. label Always Human Tapes has released clattering house from Ireland and pounding techno from Minnesota. Nyege Nyege Tapes from Kampala, Uganda has been releasing amazing sounds from the region and beyond. While the subtle hiss and quiet muffle of a tape isn’t going to match the clarity of a WAV or the smoothness of vinyl, there is a world of possibility in tapes for dance music fans and creators. That could be in the building of a collection to be proud of, in the opportunity to discover the inspirations behind your favourite genres and in the newfound potential for your weird production ideas to get a physical release. Scratch your head all you like, but you’re missing out if you think tapes aren’t here to stay. Want to read more features? Learn about the return of electro here.